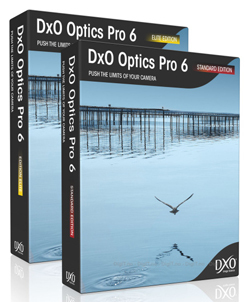 Photography Blog has reviewed the RAW image processing program DxO Optics Pro 6. 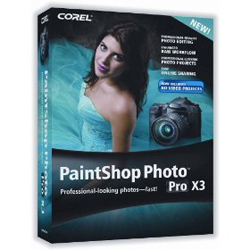 This piece of software is workflow based like Adobe Lightroom and Apple Aperture which should suit photographers working with a lot of RAW files (or JPEGs). As I have mostly used Lightroom myself it is interesting to see how competing programs are able to perform. DxO Optics Pro 6 is available for $109 for the standard edition and $199 for the Elite edition (the prices will raise after December 31st). Photography Blog ends up giving the DxO Optics Pro 6 a “Recommended” 4 out 5 stars rating. The reviewer find the noise handling the best he/she has seen in any programs and the workflow is pretty good. DxO Optics Pro 6 is also very good at correcting fringing and the most important part: the end result is very good. One downside is that the program lacks support for keywording, but not everyone needs this. Overall DxO Optics Pro 6 seems like a pretty good program for photographers who need a good workflow program. Read the full review of the DxO Optics Pro 6 software here. Notebook Review has tested the latest edition of the photo editing program Elements. The latest version is called Adobe Photoshop Elements 8 and has some new features like the Organizer which lets you, unsurprisingly, organize your photos. 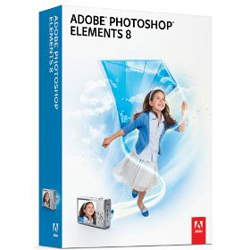 Notebook Review ends up giving Adobe Photoshop Elements 8 a bit of a lukewarm review as version 8 does not contain many useful upgrades compared to Elements 7. The software itself is very good as it based on Adobe Photoshop and you get many good features, but the reviewer does not like the new Organizer and the sharing option is a bit quirky. Seem like Adobe Photoshop Elements 7 might be a better choice as it costs less and give you about the same features. Read the full review of the Adobe Photoshop Elements 8 software here. Adobe has announced a new beta version of their popular photo processing program Adobe Photoshop Lightroom. Version 3 of Lightroom has several new features and improvements including more intutive importing which I find very intersting as I have been having a hard time explaining the importing system to new Lightroom users. We also get “unparalleled” noise reduction and sharpening tools, and the slideshow function has also been improved. London. — October 22, 2009 — Adobe Systems Incorporated (Nasdaq:ADBE) today introduced Adobe® Photoshop® Lightroom® 3 beta software for Macintosh and Windows®, a public preview of new and improved functionality to be delivered in the next major release. Lightroom is the essential digital photography workflow solution, helping serious amateur and professional photographers quickly import, manage, enhance, and showcase all their images from one application. Available as a free download on Adobe Labs, Lightroom 3 beta delivers a preview of new tools that will be in Lightroom 3, including more intuitive importing, unparalleled noise reduction and sharpening tools and enhanced slideshow capabilities. Adobe encourages photographers to test this early selection of new features and provide the product team with their feedback. 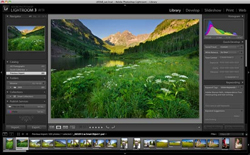 Adobe Photoshop Lightroom 3 beta is available as a free download to anyone on both Macintosh and Windows platforms. Visit http://www.labs.adobe.com/downloads to learn more and download the beta. Feedback can be submitted on the Lightroom forums: http://forums.adobe.com/community/lightroom. Users also can connect with Adobe at http://www.facebook.com/lightroom or http://www.twitter.com/AdobeLR, and can add the tag #AdobeLR3 to tweets about the Adobe Photoshop Lightroom 3 beta. Adobe revolutionises how the world engages with ideas and information – anytime, anywhere and through any medium. For more information, visit http://www.adobe.com/uk.